Pressure Cooker Dannon Dutch Apple Yogurt Compote is a blast from the past. 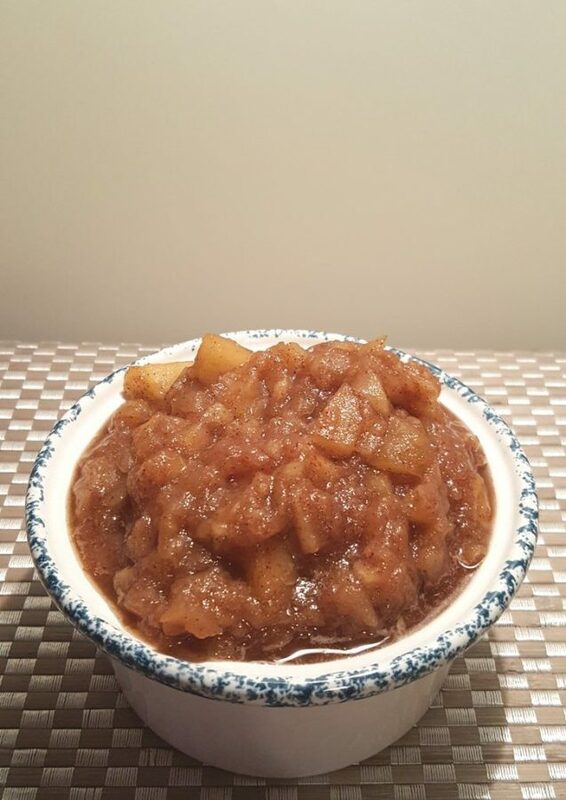 The Dutch Apple Compote can be used on top of yogurt and ice cream. 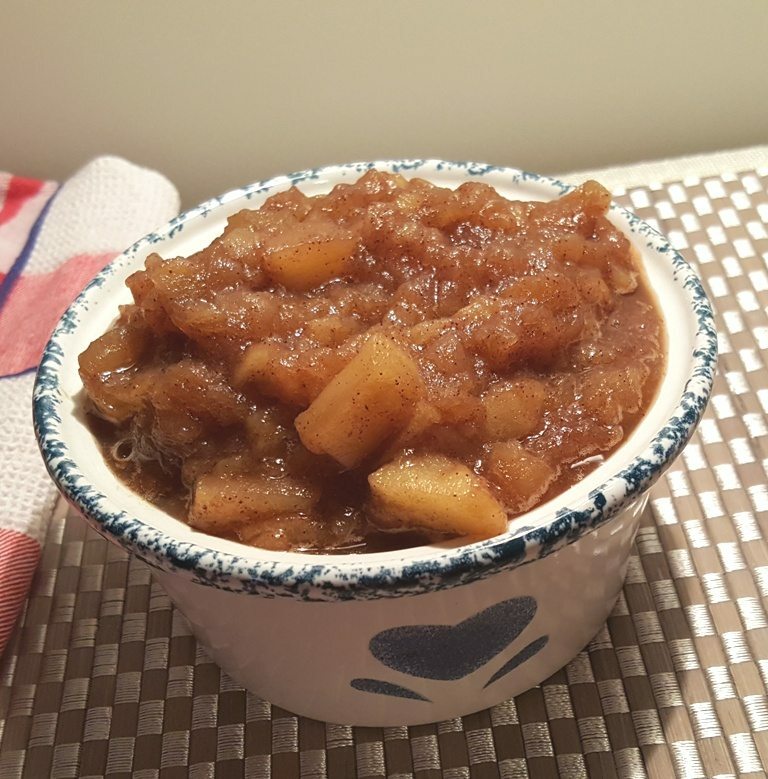 Dannon Dutch Apple Yogurt Compote is sinfully divine and only a few ingredients are needed. This will take you back to your childhood, assuming you were born before 1980. In the mid 70’s, I got a job as a person who asks questions to people shopping. What is that called? I was assigned Dannon Yogurt. I remember tasting Dannon Dutch Apple Yogurt for the first time. I fell in love with the flavor. I was never an apple pie person, but the yogurt was incredible. Yogurt has changed over the years and my precious Dutch Apple flavor is no longer. Thanks to my Pressure Cooker, I can have the same flavor in no time. I make Homemade Yogurt every two weeks, like clockwork. My husband and I plow through the stuff like crazy. 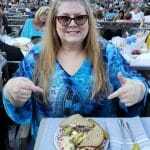 I have been missing my favorite Dannon Dutch Apple Yogurt for years and years. And because of making Instant Pot Greek Yogurt every two weeks, I’ve also been making Pressure Cooker Fresh Berry Compote, Pressure Cooker Fresh Strawberry Compote and other flavors. One of my favorite TOG readers, Pamela Moon Babcock, recently messaged me and asked about making Apple Compote, so I gave her the directions. It wasn’t until a couple of days later (on Yogurt making day), that it occurred to me to try to replicate my beloved Dannon Dutch Apple Yogurt flavor after being inspired by Pamela. The difference between regular Yogurt and “Greek” Yogurt is that Greek Yogurt is strained. It is thicker. Greek Yogurt is just strained regular yogurt, so don’t be concerned by the name Greek Yogurt. The cast of ingredients is very minimal. 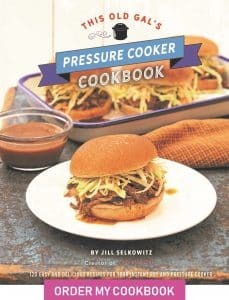 The whole process in the Pressure Cooker is just a minute. So, in order to get the same consistency as the Dannon Dutch Apple Yogurt, after making your Homemade or Instant Pot Greek Yogurt, just don’t strain! Also, only incubate your Homemade Yogurt for 6-8 hours, so you get a very mild flavor. The original Dannon Dutch Apple Yogurt was very mild. I have two very detailed recipes with step by step instructions and photos for making the best Yogurt every. 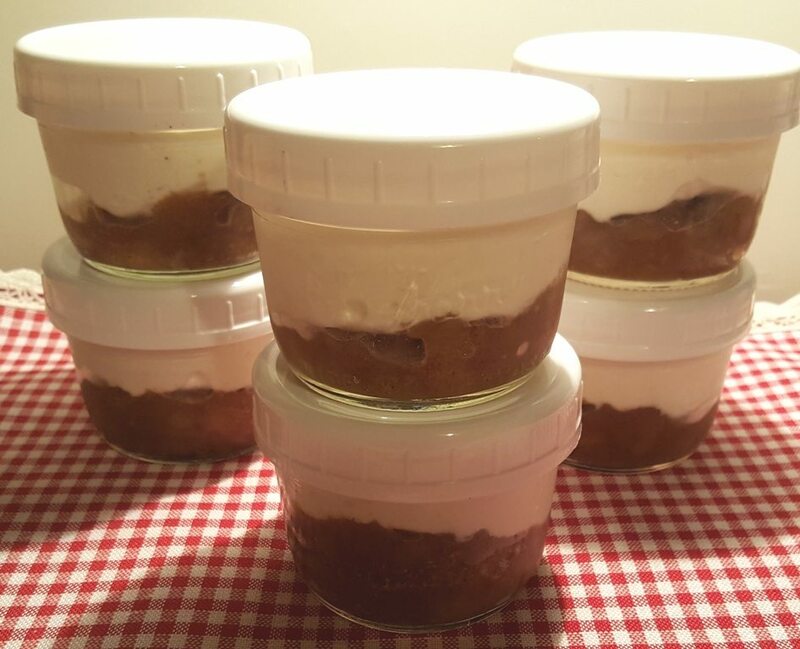 The first recipe is Instant Pot Greek Yogurt and the second recipe is GoWise USA Greek Yogurt. Remember, if you want your Homemade Yogurt to be just like Dannon’s Dutch Apple Yogurt, incubate for 6-8 hours and don’t strain. Peel and core your Red Delicious and Granny Smith Apples. 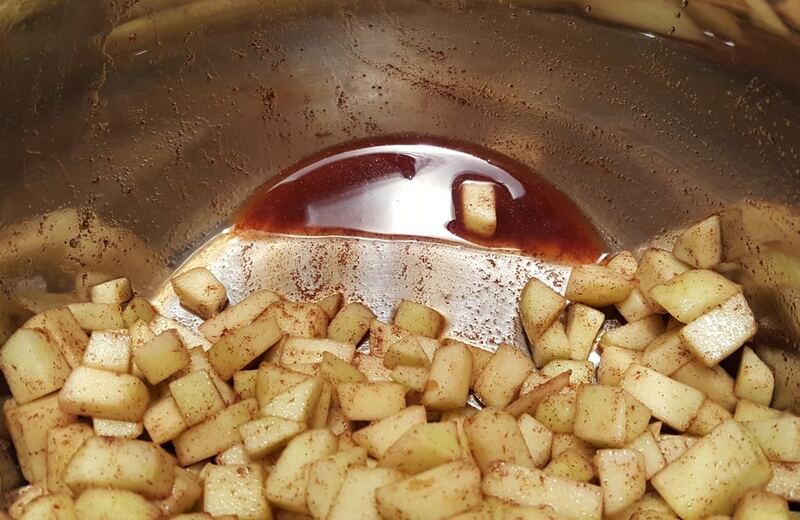 Apple brown quickly, so have a bowl of water with a teaspoon of lemon juice, or white vinegar handy. 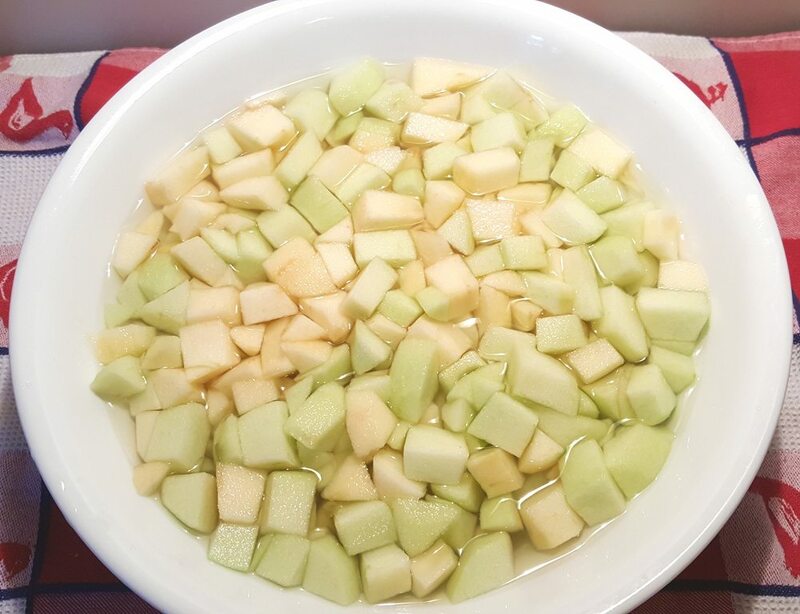 Place chopped apples into the bowl of water as you chop, until you are ready to Pressure Cook. Granny Smith Apples hold up better than most varieties, so the Pressure Cooker Dannon Dutch Apple Yogurt Compote will have soft and firmer pieces. 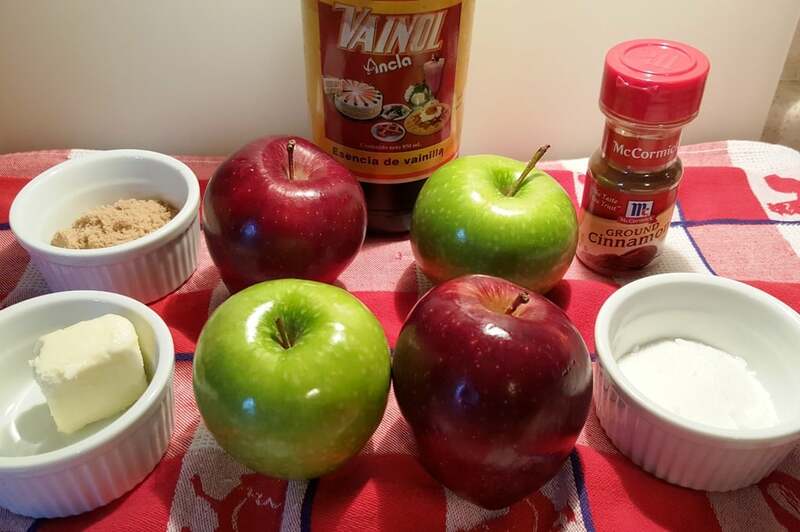 Using two types of apples, with brown and white sugar, gives a nice complex taste, similar to the fruit found in my favorite yogurt, Dannon Dutch Apple. 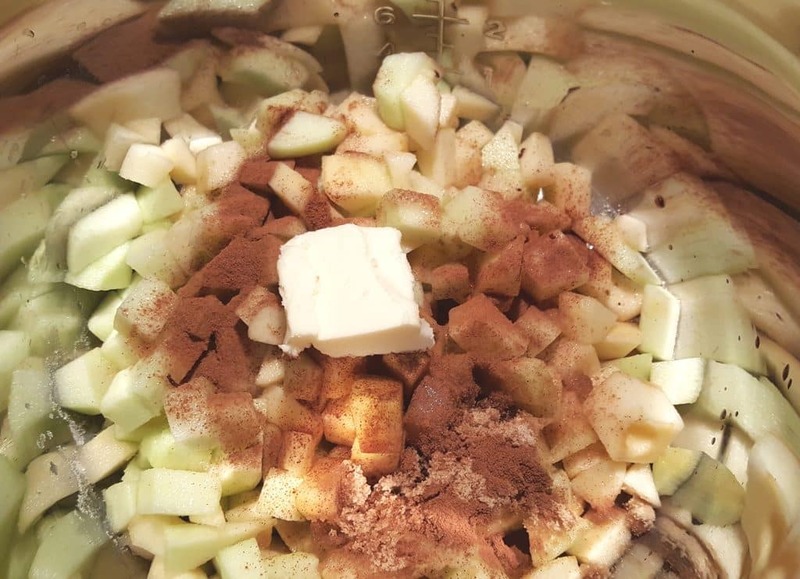 Add the chopped apples to the Instant Pot or Pressure Cooker cooking pot and add in the sugars, cinnamon, vanilla, and butter. The amount of sugar in this recipe is based on the assumption that your Homemade Yogurt is unsweetened and your intention is to achieve the Dannon Yogurt Dutch Apple Flavor. If using this recipe as a compote, you might want to use less sugar. Within a matter of minutes, the apples will release some liquid. No need to add any water at all to the Pressure Cooker cooking pot. I prefer to rough chop the apples in various sizes so that some will be soft and others will retain a bit of firmness. As you can see, the husband is a perfectionist and chopped all my apples this time, nice and neat, all the same size. He’s good like that! Even does it without asking. 😉 Next time, rough chopped! 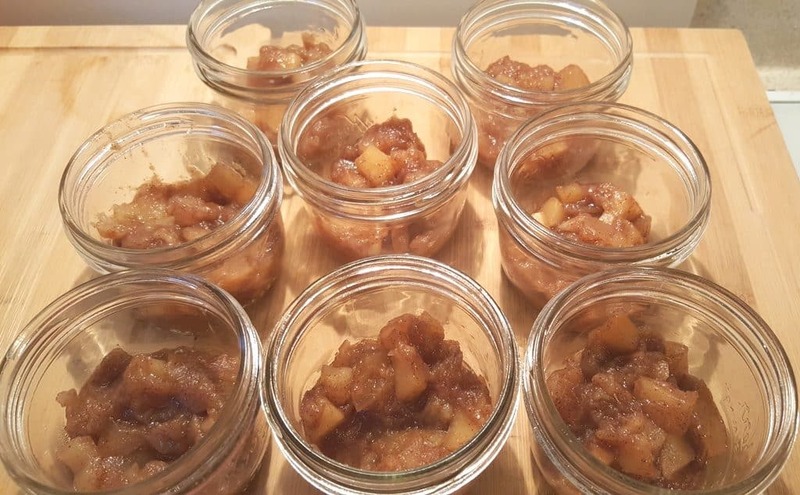 Assuming your Yogurt is now in the chilling process, add some of this Pressure Cooker Dutch Apple Yogurt Compote to the bottom of 8 of your Kerr Half Pint (8 oz) Mason Jars. Then top with the Yogurt. All ready for the week! Yum. Pressure Cooker Dutch Apple Yogurt. The whole thing costs less than a couple tubs of store-bought yogurt. I get about 15-16 of these Kerr Half Pint (8 oz) Mason Jars servings! I replaced the metal lids with these nice white plastic lids since I’m not canning and wash the jars so often. I don’t want to have to worry about the lids rusting. Yummy and delicious HOMEMADE Pressure Cooker Dannon Dutch Apple Yogurt! If you want a sweeter compote, add more sugar or honey. This recipe is about in the middle, not too sweet, but not too tart. Some like the apples more tart and others, like my husband, will add more sugar to his portion. 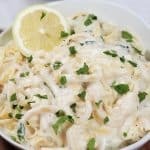 Fill a medium mixing bowl with water and a few squeezes of lemon juice or vinegar. As you are peeling and chopping the apples, place cut apples into bowl, to prevent browning. After all apples are cut, drain water and place in Pressure Cooker cooking pot. Add the rest of the ingredients to Pressure Cooker cooking pot. Cook at High Pressure for 1 minute. When Beep sounds, allow a 10 minute Natural Pressure Release. 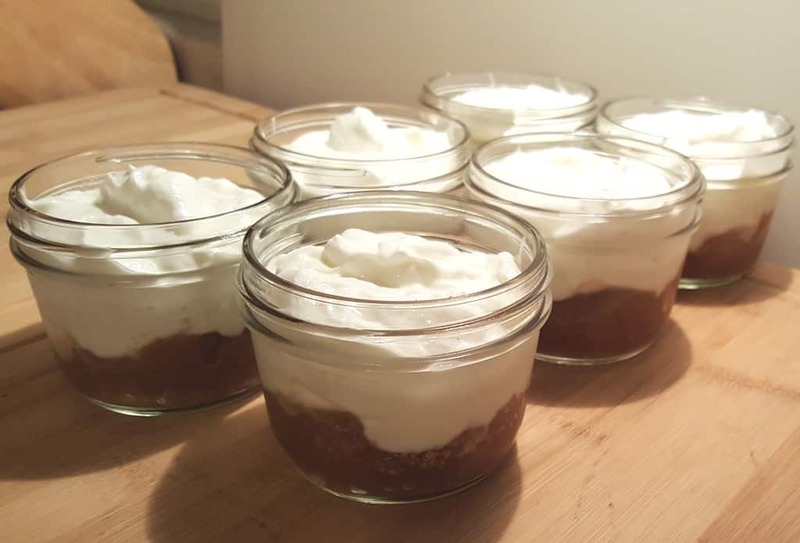 Divide Dutch Apple Compote between Mason Jars and top with Homemade Yogurt. 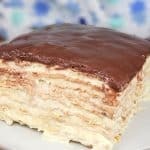 The amount of sugar in this recipe, is based on the assumption that your Homemade Yogurt is unsweetened and your intention is to achieve the Dannon Yogurt Dutch Apple Flavor. If using this recipe as a compote, you might want to use less sugar. PIN this Pressure Cooker Dannon Dutch Apple Yogurt Compote! This sounds like it would be delicious over ice cream. Has anyone done that yet? This is very good over ice cream! Can this be made with less sugar? Say a Tbsp of each? I am not a big sugar eater but I think the apples need a little sweetness and 5 Tbsps of sugar for 4 apples seems like a lot for me. OOH – could raisins be added to this as well? I am thinking they would add some sweetness and a different texture as well. Less sugar is fine. The sugar amount takes into account the unsweetened yogurt, but for eating on it’s own or on top of something sweet, definitely use less sugar. Do you think that this will hold up to freezing? I live alone and if I made a batch I’d like to freeze half of it to use later. I don’t see why you can’t freeze the compote. I don’t have jars to make this in. Can I just make it in a PIP or something? How would you change cooking time if using frozen apple slices? I might add a little spiced rum to mine — okay to add into pot or shouldn’t I do it after cooking? Thanks! Was any liquid supposed to be put in the pot. As I suspected, I got the burn notice. 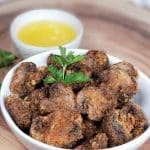 Very good and easy to make. So far I’ve used it with granola and on cheesecake. Will definitely make again. I have 4 large bags of apples, so looking to quadruple the recipe. 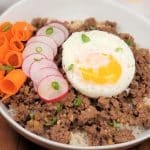 What would you recommend for a revised cooking time?